Professional website design for a construction company in Oxford using Bootstrap 4 framework. First we employed a graphic designer to create a fresh new logo for Bayswood. I then used the corporate colours from the logo and the circle shape throughout the website. There is slight movement in the logo on scroll - it becomes smaller, leaving space for the visitor to view the site. The layout is clean and simple. It is easy to navigate and visitors are able to view a portfolio of work on each page. 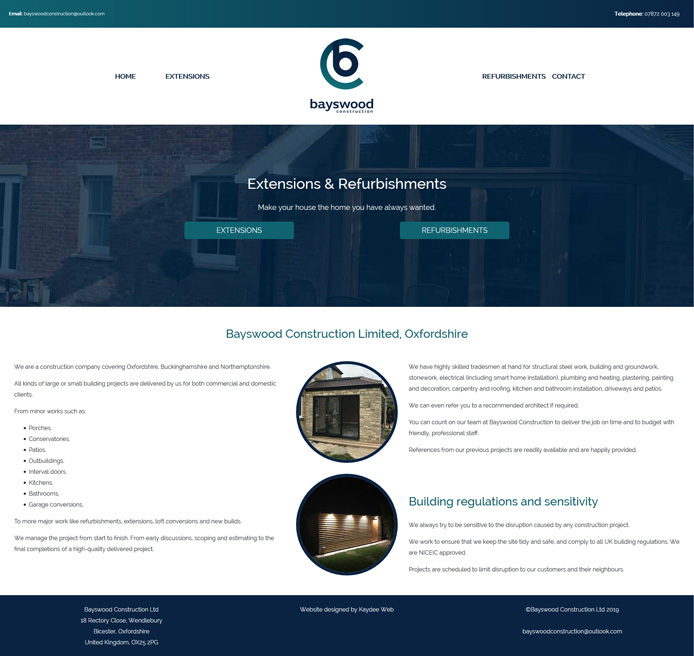 I wrote the website content on behalf of Bayswood Construction following some notes that they provided.